The Cioks Ciokolate Professional Power Supply was created to celebrate Cioks' 20th anniversary since its inception, offering players one of the most powerful and versatile power units on the market. 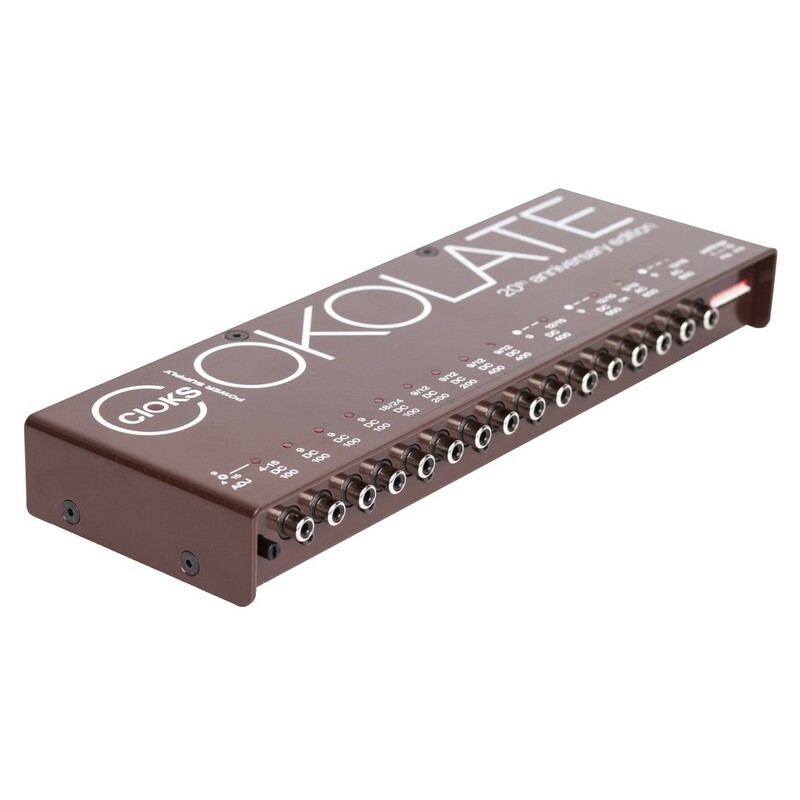 The Ciokolate is a combination of the DC10 and AC10 power supplies, offering a wide selection of voltages to choose from for both DC and AC pedals. 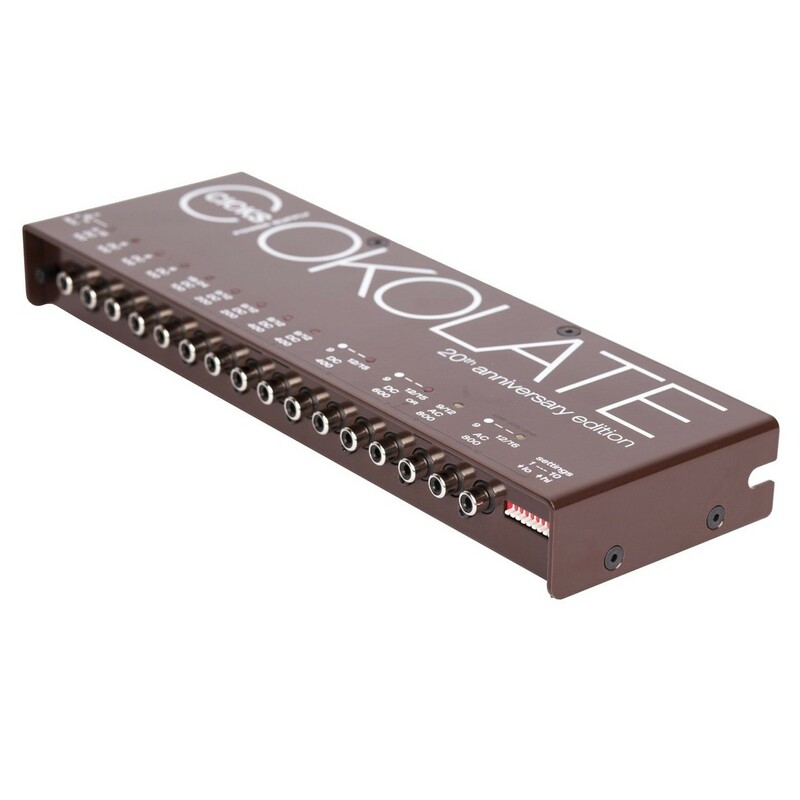 Its 16 outlets are split between 12 isolated sections, offering the choice between 4V, 9V, 12V, 15V, 16V, and 24V options to power DC pedals, and 9V, 12V, and 16V options for AC pedals. 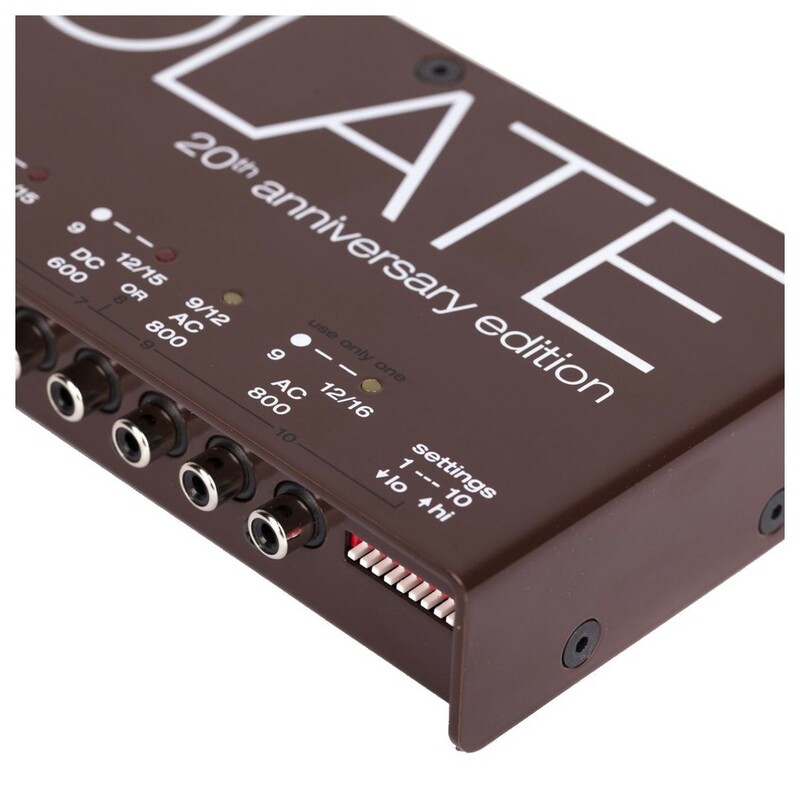 A range of flex cables are also included to power a range of high to low current pedals, and even power 40V pedals. 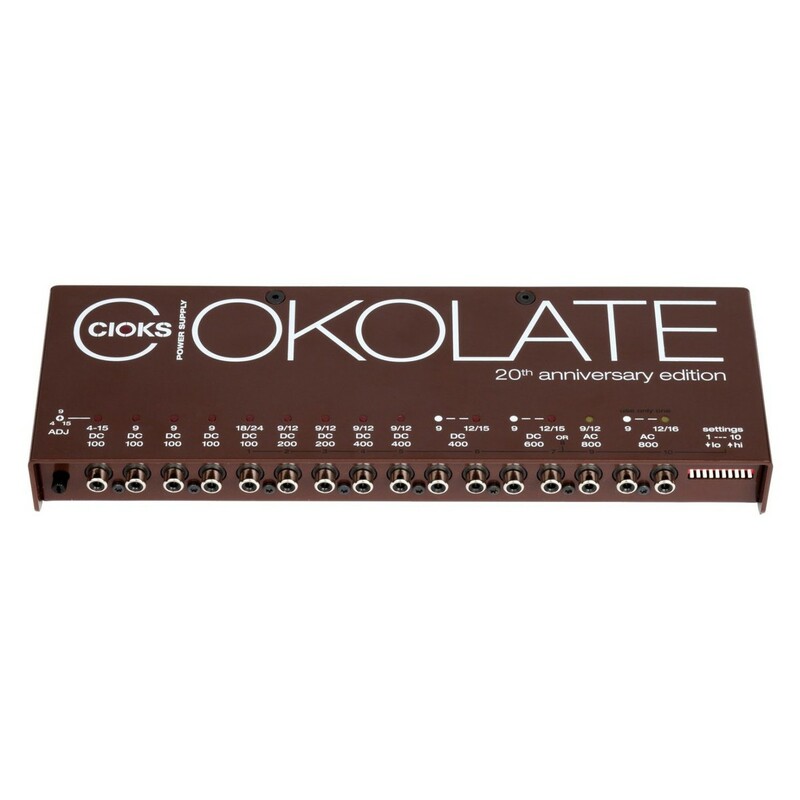 With incredible amounts of power on hand, coupled with its endless compositions of different voltage and the wide selection of Flex cables to accommodate any pedal, the Cioks Ciokolate Pro is the ultimate power supply for any pedalboard. 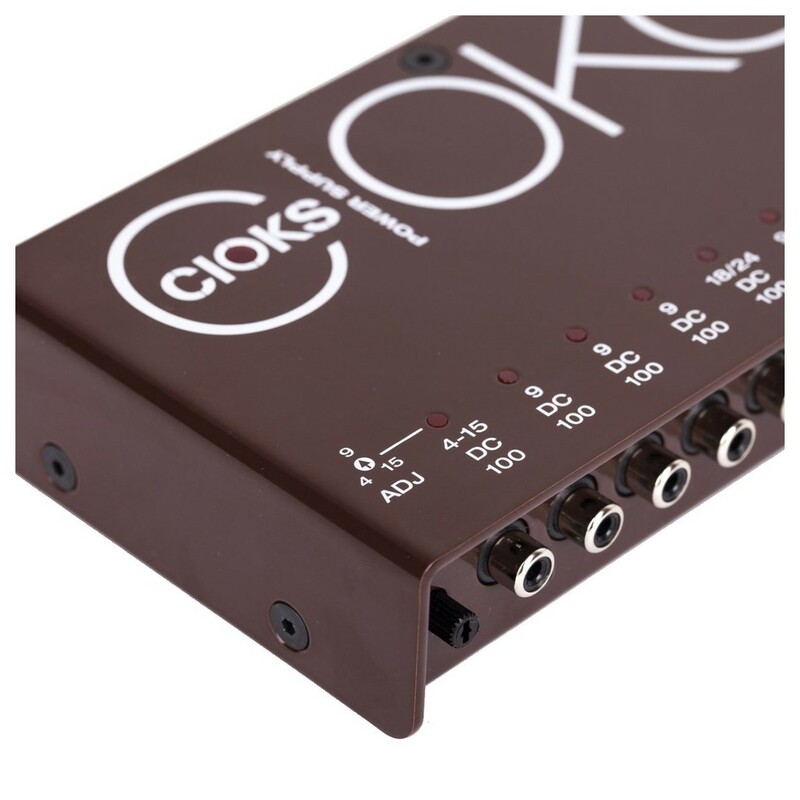 The Cioks Power Supply is designed to deliver a seamless performance, with a wide range of features to ensure the unit can survive. 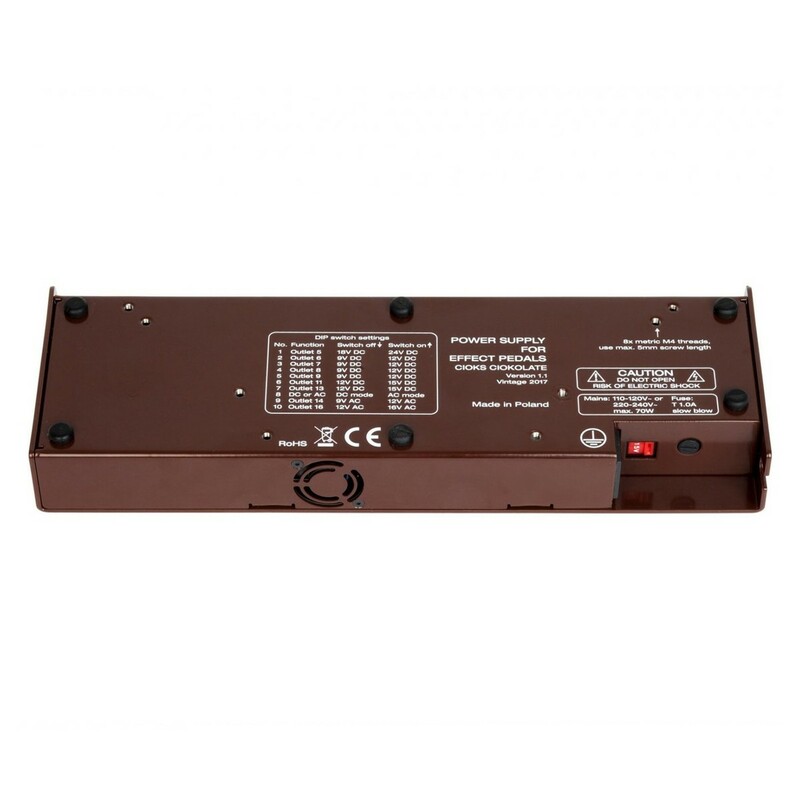 A set of LED status is added to each section/output, offering full time monitoring of the current limit to help prevent against overloading or short circuiting the output. Short circuit protection is also included on all the outlets, protecting the circuits from damage if too much current is used.